Like all of the above, today's project had been on my mind for a while, and in reality didn't take long at all, but made a huge difference, at least to me. So up until now, if I'd finished a quilt that hadn't been gifted or otherwise sent on to a new home, either it got hung or put to use somewhere in the house. 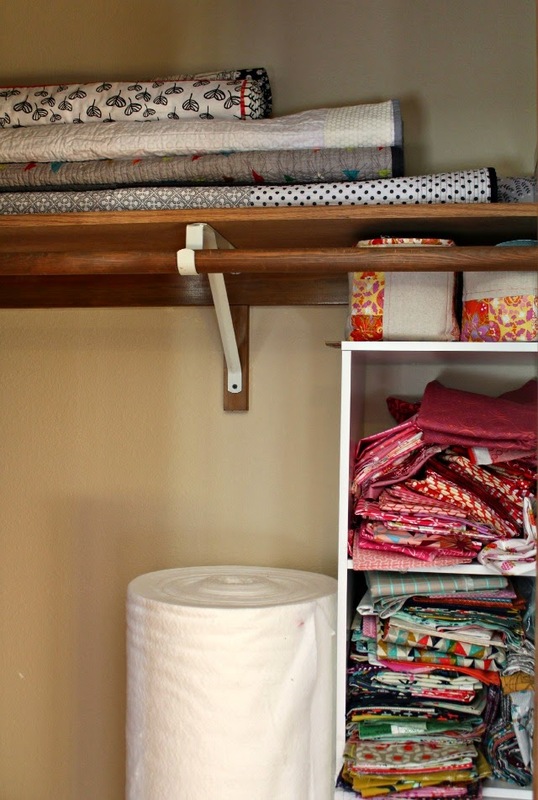 Believe me, there are quilts on every bed, a quilt ladder in the living room, stacks of quilts on shelves as display, and quilts hanging in several rooms in the house. The quilts up on the shelf are mostly my show quilts that have returned home, plus a couple I just hadn't decided what to do with, all thrown haphazardly up on the closet shelf. I know. Not good. So today, I took them all down, and got to work. Basically I found another home for the shelved items that were not sewing-related, which vacated a nice long spot on that shelf where said quilts could be rolled and stored more appropriately. See how simple that was? SO much better! Now to straighten up that stash . . .
Oh, how pretty they look rolled up! Thanks for the gentle reminder... I need to do this with some of mine on shelves. 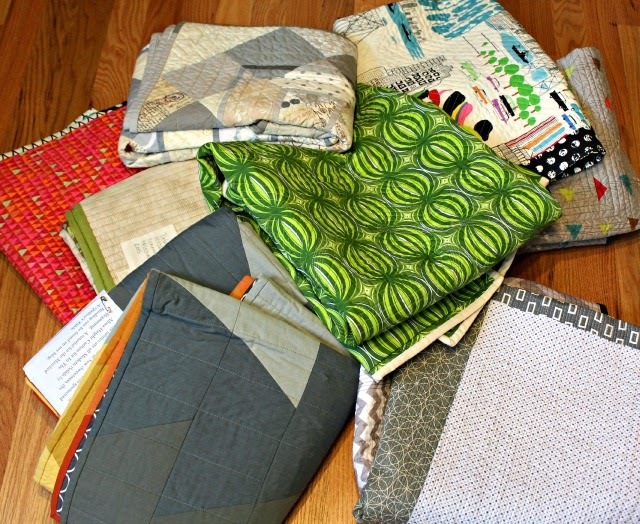 So, do you find the quilts "keep" better when rolled, or folded? I guess they might take up less space... let me know because I clearly need to reorganize my quilts. Lol. So much better -- I like it! And I'm so jealous of your huge closet! oh man now I need to go straighten mine.... looks great! You don't even want to see the top of my closet right now. Well, I don't want to look at it either! Haha Did you tie ribbon around them to keep them rolled up? I feel like rolling wastes so much space... I prob need something custom built to store them that way. I keep mine rolled up in huge baskets from target. I've also heard that folding them on the bias helps to not put permanent creases in them.